IAHV in partnership with Art of Living Foundation is responding to this situation. 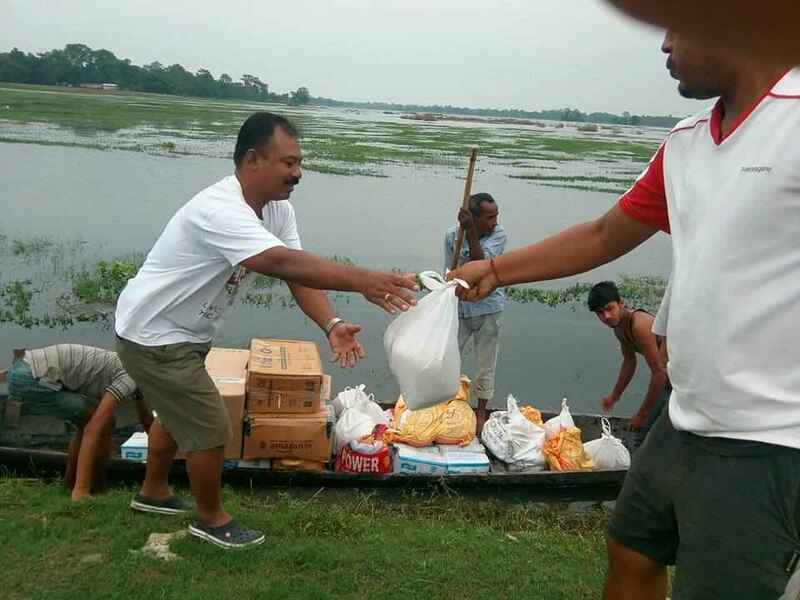 Over the past weeks, thousands of volunteers were deployed in relief work across the states of Assam, Bihar, Gujarat, West Bengal in India and in Nepal. They have been distributing food, water, essential supplies and providing shelter to people in the hardest-hit districts. Psychosocial support is also being offered through trauma relief camps for those severely affected. IAHV is a 501(c)(3) nonprofit organization. IAHV is a BBB accredited charityAll contributions are fully tax-deductible. Please donate generously. Below is a message from the founder of IAHV & Art of Living Foundation, Gurudev Sri Sri Ravi Shankar for the victims of Assam floods. He has also recently visited the flood affected areas of Gujarat and met with the victims, volunteers and administration. Sending a big thank you to the Art of Living volunteers helping with the flood relief efforts. JGD!